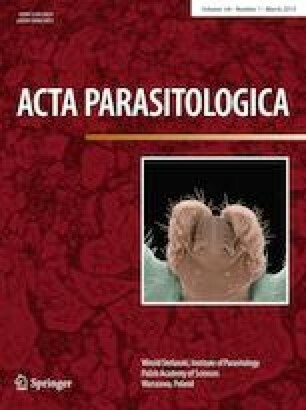 Leishmania donovani (L. donovani) is one of the parasites that cause leishmaniasis. The mechanisms by which L. donovani fights against adverse environment and becomes resistant to drugs are not well understood yet. The present study was designed to evaluate the effects of different regulators on the modulation of Transplasma Membrane Electron Transport (transPMET) systems of susceptible and resistant L. donovani cells. Effects of UV, different buffers, and electron transport inhibitors and stimulators on the reduction of α-lipoic acid (ALA), 1,2-naphthoquinone-4-sulphonic acid (NQSA) and ferricyanide were determined. ALA reductions were inhibited in susceptible, sodium antimony gluconate (SAG)-resistant and paromomycin (PMM)-resistant AG83 amastigote cells, and stimulated in susceptible and SAG-resistant AG83 promastigote cells upon UV exposure. The results indicate that UV irradiation almost oppositely affect ALA reductions in amastigotes and promastigotes. ALA reductions were stimulated in sensitive and inhibited in resistant GE1 amastigotes upon UV exposure. Susceptible amastigotes and promastigotes inhibited, and resistant amastigotes and promastigotes stimulated NQSA reduction under UV irradiation. Thus, susceptible and drug-resistant amastigotes and promastigotes are different in the reduction of ALA. Susceptible and resistant AG83 amastigotes and promastigotes inhibited the ferricyanide reductions upon UV exposure, which indicates, there is no such difference in ferricyanide reductions among susceptible as well as resistant AG83 amastigotes and promastigotes. The reductions of extracellular electron excerptors in susceptible promastigotes requires the availability of Na+ and Cl− ions for maximal activity but susceptible amastigotes are mostly not dependent on the availability of Na+ and Cl− ions. Both in promastigotes and amastigotes, reductions of electron acceptors were strongly inhibited by carbonyl cyanide p-(trifluoromethoxy)phenylhydrazone. Furthermore, antimycin A, rotenone and capsaicin markedly inhibited the reductions of electron acceptors in promastigotes, but not in amastigotes. Results of this study suggest that the transPMET system is functionally different in wild and resistant strains of L. donovani. The online version of this article ( https://doi.org/10.2478/s11686-019-00050-y) contains supplementary material, which is available to authorized users.